When you think of security systems you might picture security cameras, but only outside of a warehouse or in front of a store. However, video surveillance is becoming an increasingly common element in home security systems, both along the exterior of a home and in specific rooms inside your house. Live video monitoring is an invaluable tool for both keeping an eye on your home and for deterring crime and property damage. What are the uses for live video monitoring outside your home? Exterior video cameras are a visible sign that your home is protected. Just like the signs and reflective decals that are in many yards as a signal that the owners have an active security service visible cameras dissuade would-be burglars and can even minimize incidental property damage when packages are dropped off or if your yard has been previously damaged by unwanted foot traffic. Video cameras directly record crimes happening in and around your property. Having video footage of someone’s attempt to break in or of them causing property damage is useful evidence to give the police to make sure that it doesn’t happen again. 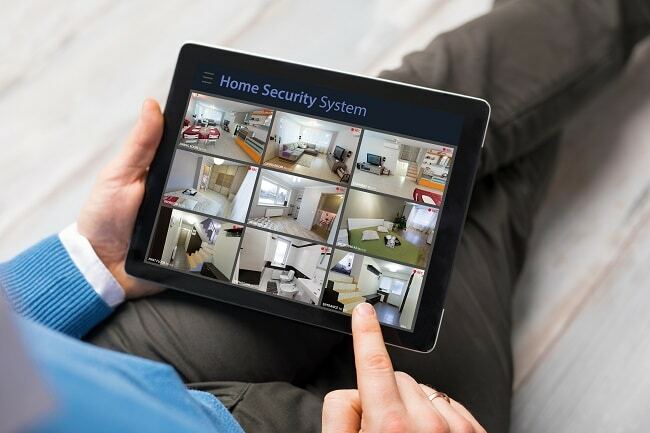 How can interior security cameras give you peace of mind? If you have pets, small children, or elderly relatives with medical conditions in your home, establishing security cameras in common areas can be a great way to ensure that everyone is safe even if you’re not at home. Interior security cameras let you monitor events inside the house if your home security system triggers an alert. Sometimes these alerts can be generated by random, innocuous events but sometimes they can be a sign that someone is tampering with your home security; use interior cameras to see the situation for yourself. Automated home security systems are a great investment for securing both the exterior and interior of your home. If you’d like to learn more about Fort Knox Security Services and how an automated security system can be made strong with live video monitoring, please contact us here.